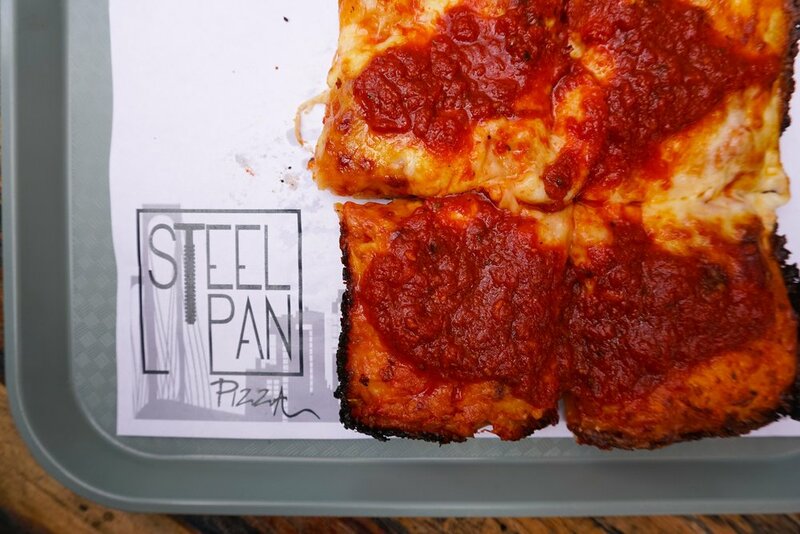 Steel Pan Pizza is a fast-casual proudly bringing Detroit-style pan pizza to 4th St Market in downtown Santa Ana. 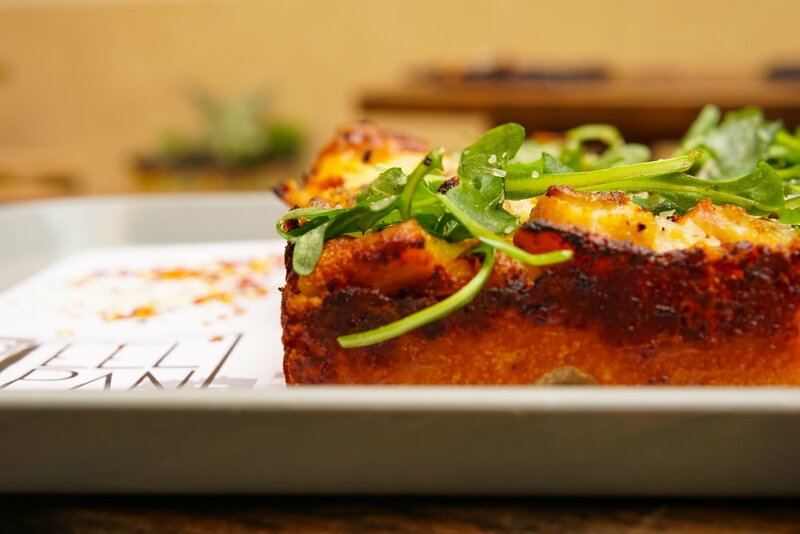 It’s founders aim to provide an authentic food experience, by bringing Detroit’s unique pie mixed with seasonal, chef driven themes to the Orange County and surrounding Los Angeles area. Expect flavorful pies served in industrial square pans, featuring caramelized crusts and hearty midwestern ingredients. 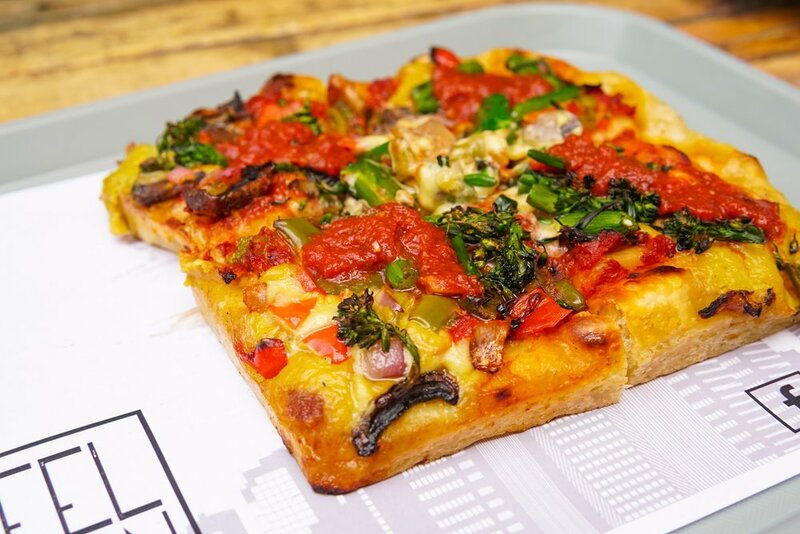 Detroit-style pizza tells a story of resourcefulness, as its birth place is known for being an industrial mecca, often referred to as Motortown City. Primarily, Detroit pizza puts a lot of focus on the quality and texture of the crust; the main goal is a marriage of crisp bottoms and edges with a light and airy crumb with just enough chew. 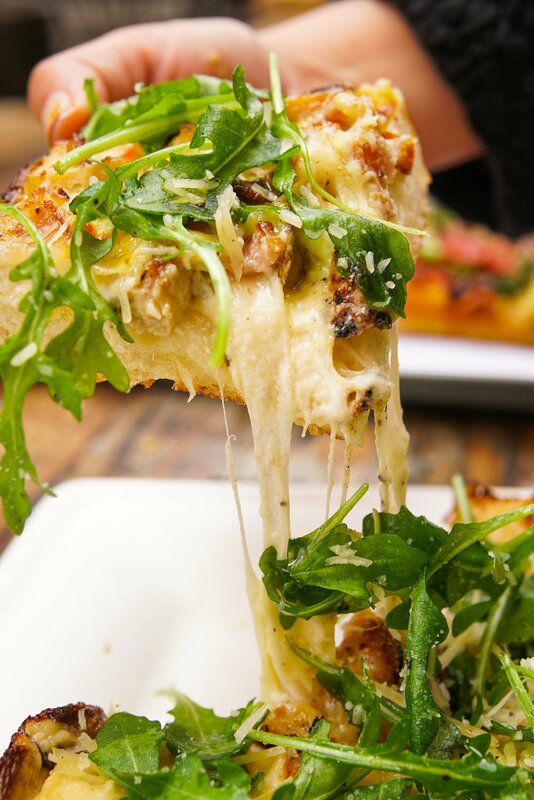 Detroit pizza isn’t just a vessel for cheese and toppings with a forgettable crust, but a celebration of finely crafted dough all the way through that is accented by the flavors of the cheese and toppings. At Steel Pan Pizza, you can expect this legendary crust alongside ingredients such as truffle, pepperoni, mushroom, Italian sausage, grilled broccolini, bell peppers and more.